A gong bath is a form of sound therapy where the gong is played in a therapeutic way to bring about deep healing & relaxation; you will be bathed in sound waves as you relax comfortably on a mat covered with a blanket. Bolsters & eye pillows are also available for you to use. Conducive to healing and transformation. Induces a state of meditation by calming the mind. Creates a state of relaxation and release of tension. Stimulates the circulatory and glandular systems. Marci has been facilitating sacred sound healing events in a variety of healing modalities for over 10 years. 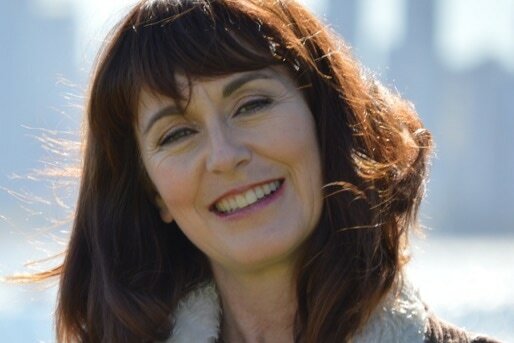 She is an avid Gong Adventurer and offers a unique blend of ancient truths and cutting edge science through shamanic process, Kundalini and Restorative Yoga wisdom, sound therapy, and Reiki. 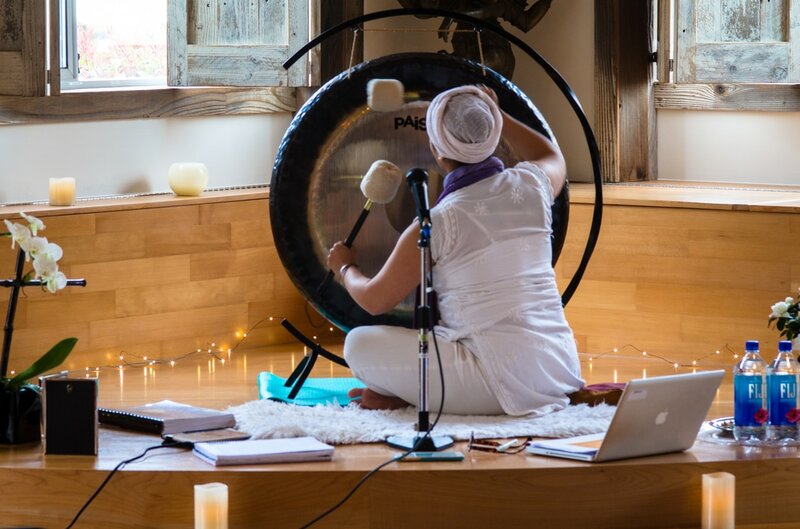 Marci studied the healing techniques of the Gong with Hari Singh at Yoga West. How much does it cost and do I need to pre-register? Drop-ins are $22 but see our prices page for all payment options. Often we offer intro deals. If you purchase a multi-pass you save money! All just yoga passes are applicable to these and all other drop-in classes. When you arrive we will ask you to fill out our new client registration form. If you prefer you can download it, fill it out at home, and bring it with you to your first class. You don't need anything except some comfy, stretchable clothing - no jeans, belts etc. Don't eat anything heavy one hour before class. You can borrow a mat from us (if you don't have one) & we also have blankets. For your first class please arrive 15 mins before class starts to register at the desk - our front door is locked strictly on time at the start of class.